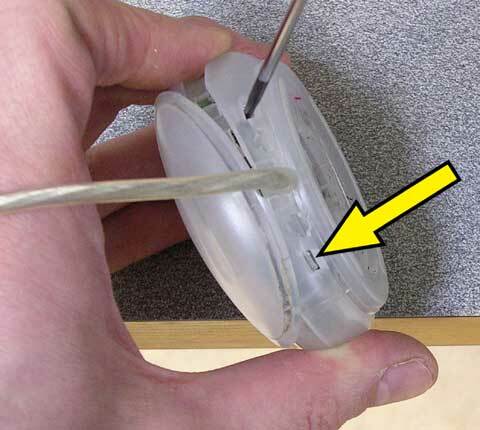 Rear vue of the mouse. 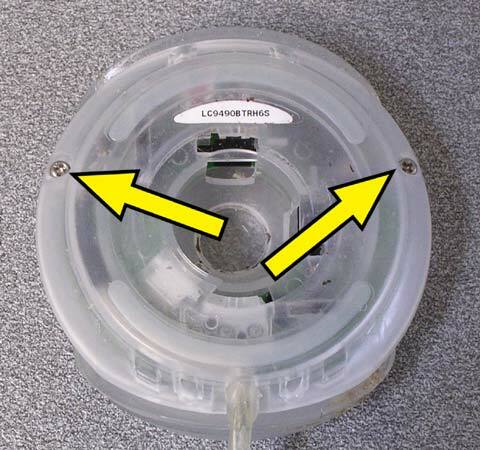 The locking cap has to be turned in a clock-reverse movement, as shown by the arrows, to free it. 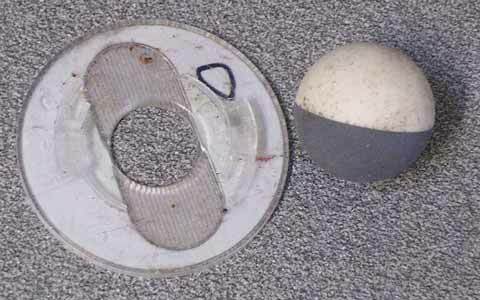 The cap, the mouse's ball: to be deeply cleaned (soap or, like me, with isopropylic alcohol). 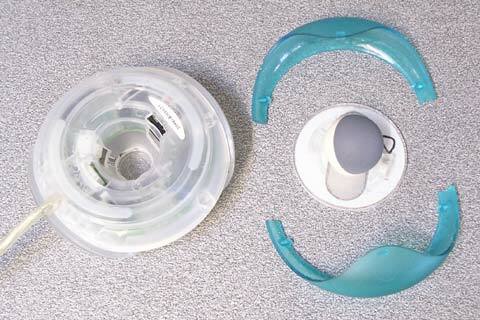 The two coloured caches have to be unhooked: they hide two screws to be removed. 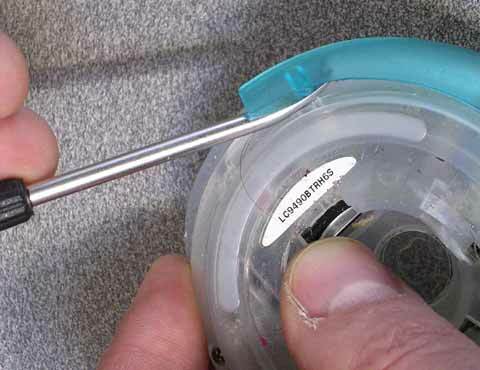 I use a small lever and smoothly I lift up the first cache. 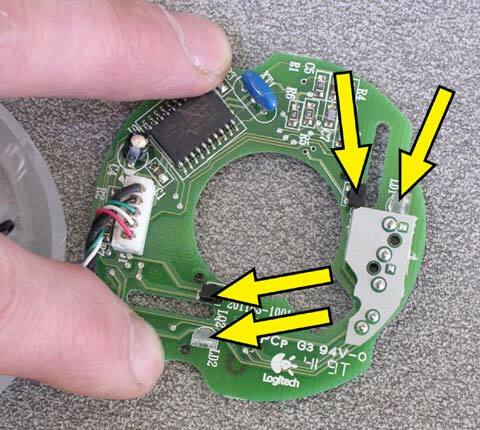 The yellow arrow clearly shows the pin which maintains the cache. There is one pin at each extremity + one in the middle of the upper face. Removing the second cache is easier. 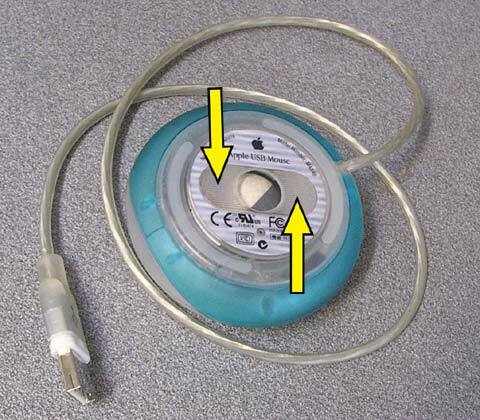 On the USB connector side, the pin (yellow arrow) is to be unhooked without damaging the cable (blue arrow)... but do not worry too much: this cable is more solid than the one in Apple's optical mouse! 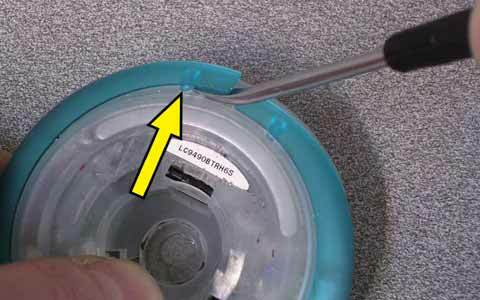 We can now unscrew the two hidden screws. 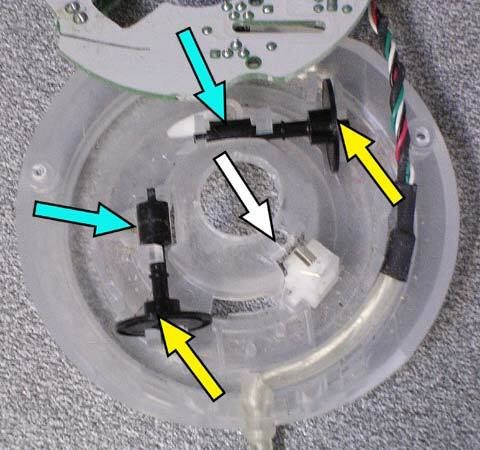 ... but there still are two more pins: the first one shown is on the way to be unhooked (above, near the screwdriver) and the second one is still to be operated pointed (the yellow arrow). The electronic board. The cells (yellow arrows) are the most important parts and they have to be deeply cleaned. 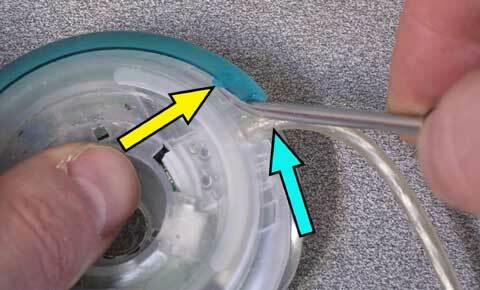 But the mechanical pieces also have to be cleaned: (1) the rollers which scroll in front of the cells (yellow arrows), (2) the rolls which drive the rollers (blue arrows) and (3) the "binding up" piece (white arrow).